Few individuals have so radically altered the vocabulary of architecture as REM KOOLHAAS, whose theoretical writings (Delirious New York: A Retroactive Manifesto for Manhattan ; S, M, L, XL ) and groundbreaking structures (the IIT McCormick Tribune Campus Center in Chicago, 2003; CCTV headquarters in Beijing, 2010) largely gave form to our turn-of-the-millennium understanding of the metropolitan landscape and its cultures. As part of this nearly four-decade-long program, Koolhaas and the Office for Metropolitan Architecture have often engaged with questions of art, proposing buildings for institutions such as Tate Modern in London and the Museum of Modern Art in New York; and, in fact, much of the analysis surrounding those projects was on display at the 2005 Venice Biennale, where the architect’s installation ExpansionNeglect presented vast amounts of information about the changing demands for contemporary art under the sign of globalization. Today, Koolhaas is immersed in his Hermitage 2014 Masterplan, a comprehensive reconsideration of the encyclopedic Saint Petersburg museum’s structure and function, slated for completion on the institution’s 250th anniversary. Artforum editor Tim Griffin sat down with Koolhaas this spring to discuss the architect’s plans for the site in light of his previous research. 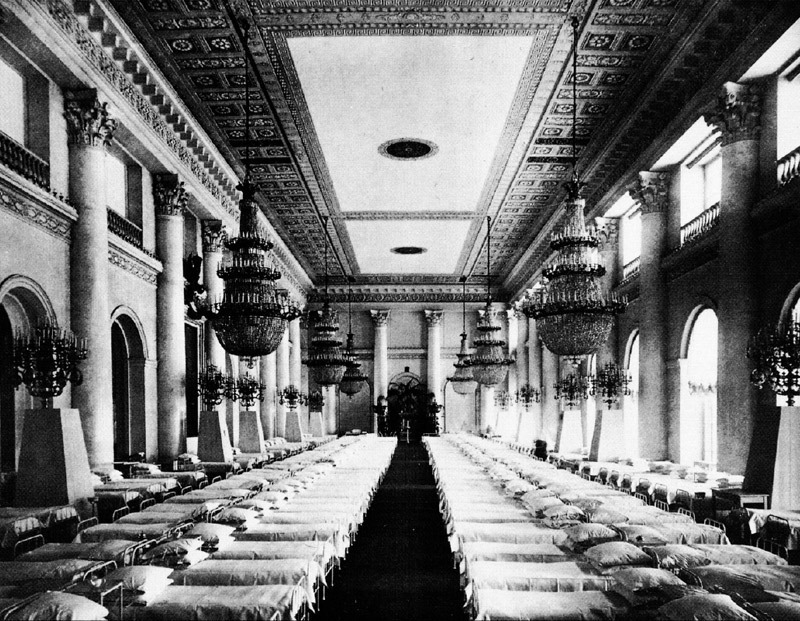 Winter Palace galleries being used as a hospital during World War I, Nicholas Hall, Hermitage, ca. 1914. 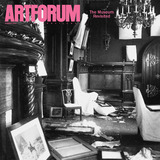 TIM GRIFFIN: What’s been your relationship to the idea of the museum, and how do you see the status of the museum today? REM KOOLHAAS: Well, I’m in the position of someone who, through competitions, has thought a lot about museums but has built relatively few. Through the late 1990s, museums started to expand in direct proportion to the rise of the stock market, and during this period we realized at a certain point that we had designed more than thirty-four soccer fields’ worth of museum space. The Hermitage, I should note, is an important counterpoint to both this trend and our participation in it, but collectively all this work enabled me to document the nature of the new, enlarged museum and its relationship to the art displayed in it.